Where is Hot in October for Walking Holidays? So the barbecue has been shoved back into the garden shed, the sun tan lotion has migrated to the back of the bathroom cabinet for the winter and the first chilled winds remind you of the bitter weather to come. Welcome to October…. It doesn’t have to be this way. You don’t have to resolve yourself to dark, cold nights and frosty mornings. There are places not too far away where you can find sunshine, beautiful scenery and a plethora of gastronomic delights. One such place is Greece’s largest island, Crete, which enjoys October temperatures pushing towards the mid-20s (degrees Celsius), and dropping only slightly below that once the sun sinks over the horizon. Walking holidays vary greatly, but they are almost always more pleasurable when the sun is shining. And in Crete – even in October – you are very likely to enjoy warm rays on your back as you meander along rocky coastal paths or through the foothills of the dramatic and imposing White Mountains (Levká Óri), which reach almost 2,500 metres in elevation. Do check out our Coastal Crete walking holiday page for an insight into our suggested itineraries. You will encounter an abundance of lush vegetation, from olive groves to wildflower meadows, and have the opportunity to explore the Samaria gorge – the longest in Europe – above which soar resplendent golden eagles and buzzards. 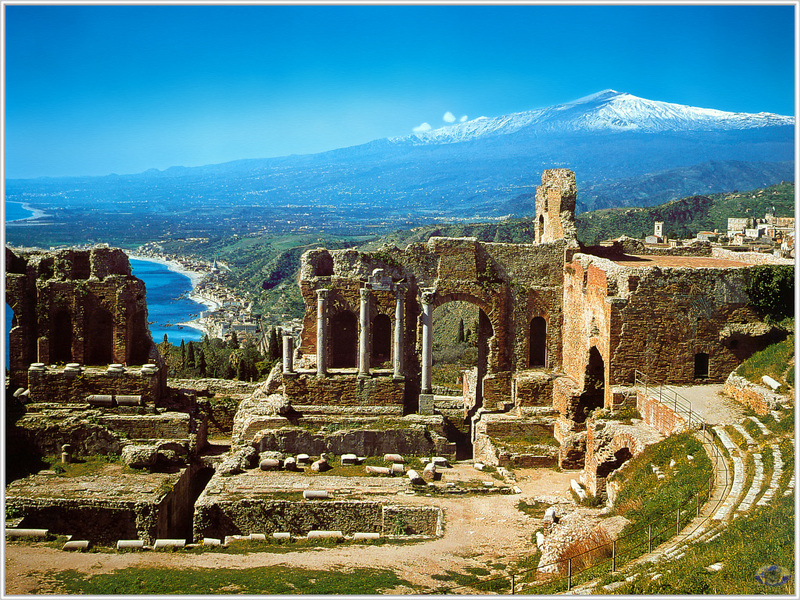 Another Mediterranean island that holds vast appeal to travellers is Sicily. Often extremely busy and uncomfortably hot at the height of summer, October is an excellent time to visit, especially for those keen on indulging a passion for walking. With a daily average of seven hours of sunshine and an average temperature that ranges from around 23 in the daytime to between 15 and 18 (all degree Celsius) at night, October on the Med’s largest island is positively balmy. For more details click here for our Secrets of Sicily Walk. Sicily is a great base from which to explore the Aeolian Islands, of which Lipari is the largest. But it is on Stromboli where you can allow the real adventurer in you to emerge as you get the chance to accompany a volcanologist in a night ascent of its cone-shaped volcano. The jagged scenery lit up by lava flows is like something out of Lord of the Rings, and the images will stay with you for ever. There are many outstanding walks to undertake on Sicily itself, with the pinnacle surely being the ascent to the summit of Europe’s largest active volcano, Mount Etna. 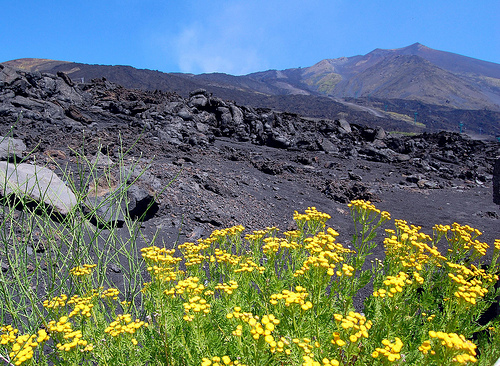 Rising to an elevation of 3350m, Etna erupts regularly – including in 2013 – so you might have to be on your toes when you visit! Of course, scaling volcanoes is not everyone’s cup of tea, and if you prefer something completely different, a trip to Jordan could be the eye-opening cultural adventure you are seeking. With nine hours of sunshine, daytime temperatures of around 27 degrees Celsius and barely a drop of rain, Jordan in October is an exceptionally pleasant place to be. Jordan is positioned on the East Bank of the River Jordan and the region has been home to many empires from the Persians to the Macedonian Greeks, the Romans to the Ottomans. It has been blessed with many great architectural treasures, with the most awe-inspiring being the city of Petra. One of the Seven Wonders of the New World, the rose red buildings are hewn from the rock face, with monasteries, temples and residential dwellings possessing an imposing beauty and structural grandeur that belies their age (the city is over 2,000 years old!). 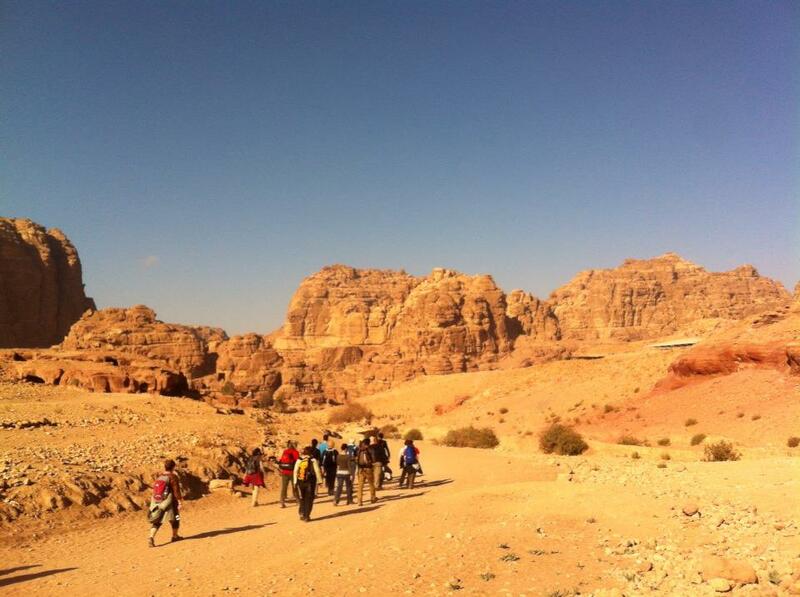 Walking in Jordan like Lawrence of Arabia! Jordan has so much more to offer, of course, with the outstanding expanse of sand dunes and rock formations of Wadi Rum, where Lawrence of Arabia was filmed and through which the real life T. E. Lawrence passed many times during the Arab Revolt of 1917-18. Add to that the Dead Sea, the outstanding Roman site of Jerash and the hustle, bustle and wonderment of the capital Amman, and you have a holiday destination that combines outstanding cultural and historical sites with natural wonders and a fantastically hospitable population. And a lot of sunshine! Other options for an October getaway for sun-dappled walking holidays include the ever-popular Canary Islands of Gran Canaria and Tenerife, both of which offer mild temperatures, beautiful scenery and an array of flora and fauna. In other words, they are both excellent destinations for walking holidays. But with so many options you are clearly going to have to do some research, so have a look at the various itineraries available to view on our site and see which destination ticks your boxes.